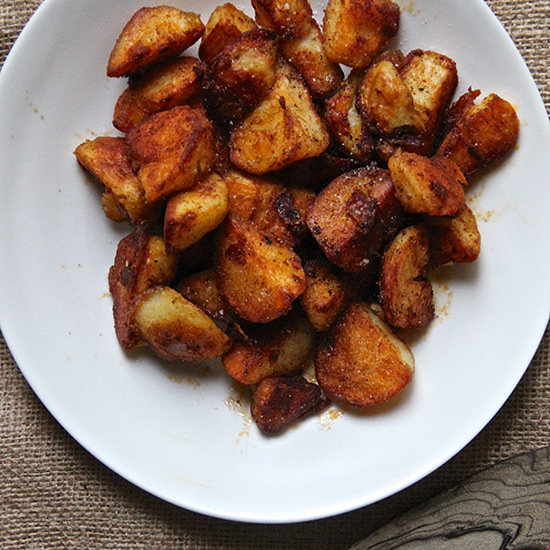 Roasted potatoes are the perfect side dish for any dinner. Try some of these easy and delicious recipes. 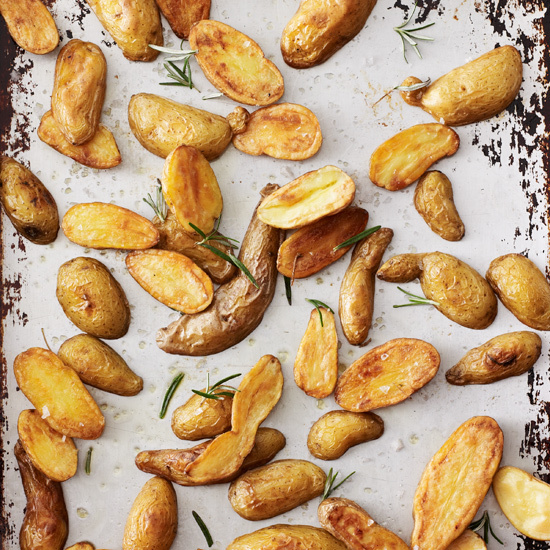 This recipe uses just rosemary and seasonings for an easy and delicious side dish. This lemon-scented herb salt makes a great seasoning for everything from roasted white fish to grilled chicken and pork to steamed vegetables—and of course, any kind of potato. Grinding the sage, rosemary and thyme into the salt, rather than just stirring it in, helps intensify and meld the flavors. 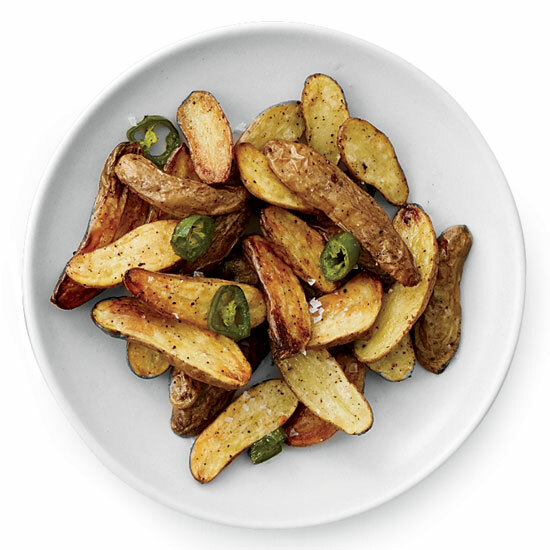 The secret to these potatoes' creamy insides and crunchy exteriors is the pre-cooking in boiling water. 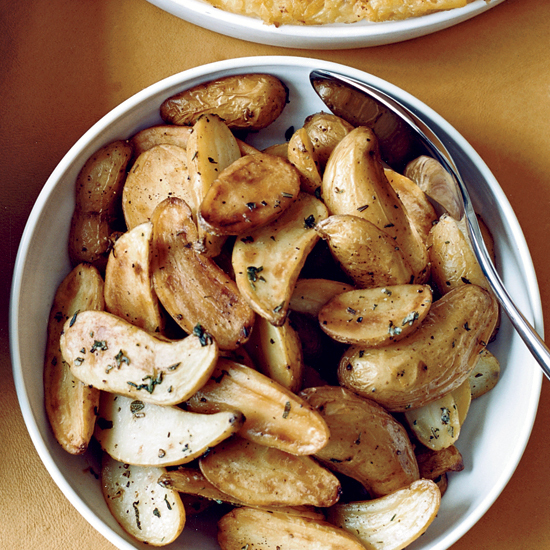 It's hard to resist that Greek diner specialty of potatoes bathed in a lemony oil. 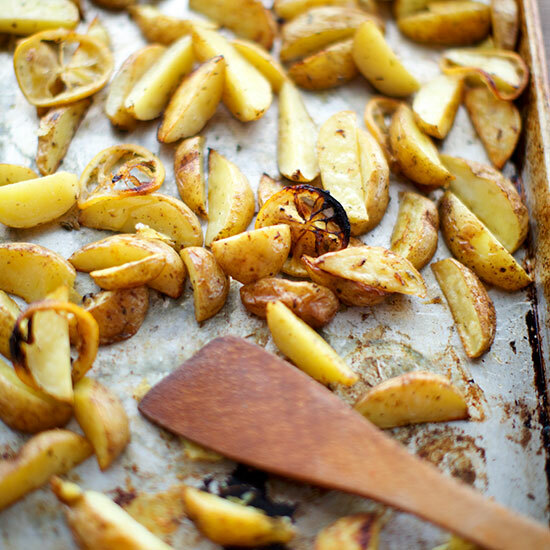 In this version, slices of lemon are roasted along with the potatoes, gently perfuming the dish making it fresher and very satisfying. 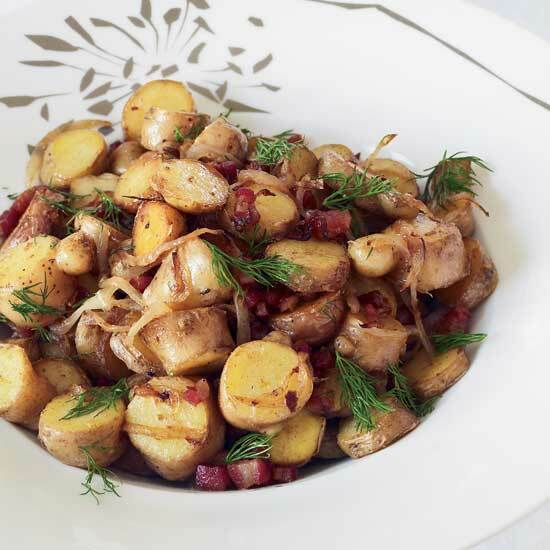 Fabio Trabocchi sears golden, buttery fingerling potatoes and tosses them with fresh dill; if you can't find fingerlings, try baby Yukon Gold potatoes. For a lighter version, leave out the pancetta. 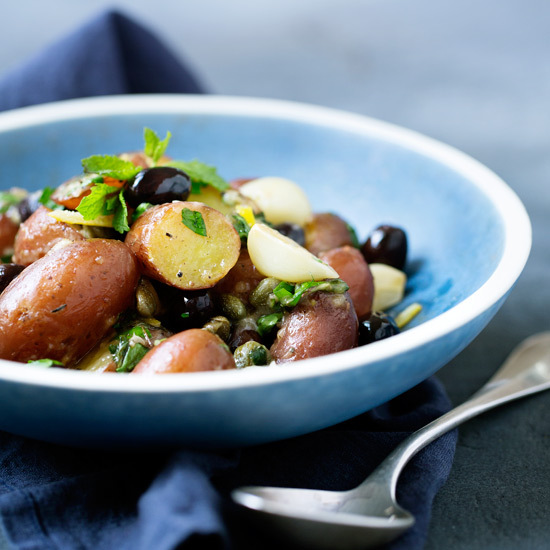 This is a unique spin on the traditional Greek method for making roasted potatoes: Michael Psilakis roasts a whole lemon, purees it with a little bit of sugar syrup and stirs it right into hot potatoes, along with olives and capers. 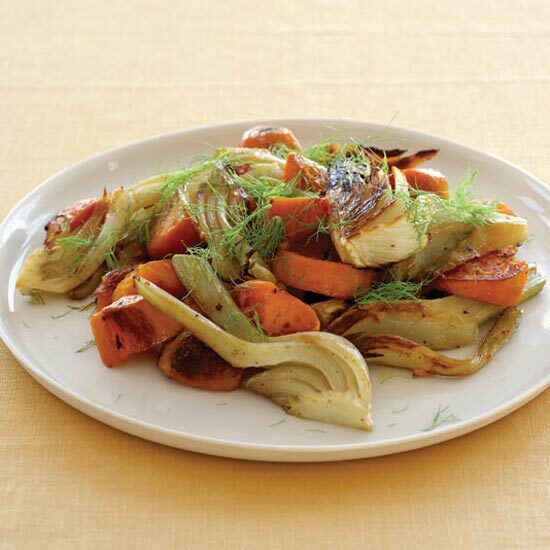 In this delicious vegetable pan roast, sweet potatoes are tossed with fennel wedges and then roasted until tender and carmelized. 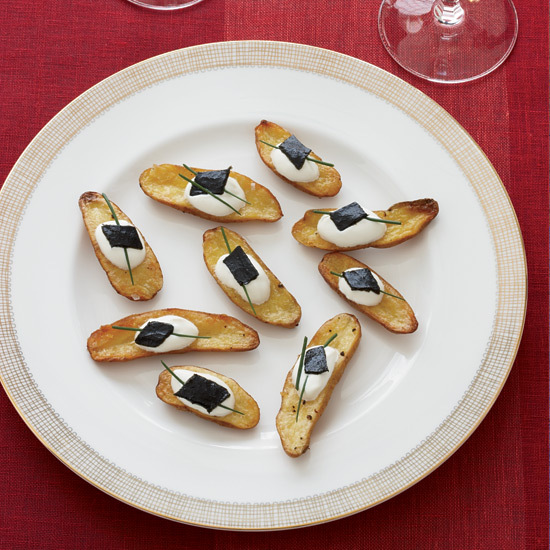 For this easy, impressive hors d'oeuvre, Jacques Pépin tops roasted fingerling potatoes with sour cream and slender diamonds of pressed caviar. Boiled, sliced red potatoes also work. 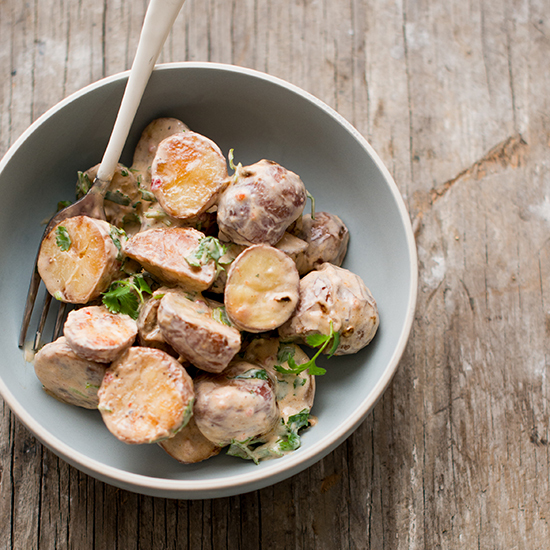 Potato salad gets updated by first roasting the potatoes in a fish sauce mixture, then tossing them with a spicy Asian dressing made with healthy Greek yogurt. 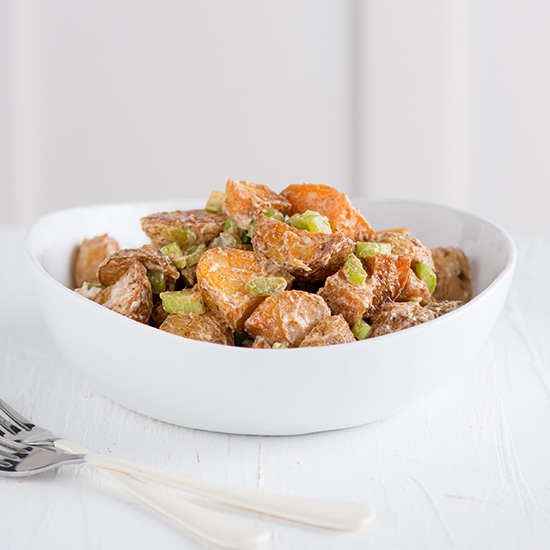 Baby potatoes get a chipotle glaze before being roasted, adding incredible flavor to this healthy potato salad, which substitutes Greek yogurt for mayonnaise.